The ad campaign for The Peanuts Movie has been kind of a nightmare for me. I have a long history of being turned off by modern CG animation (yes, that includes most Pixar features; no, I’m not proud of that), so seeing a beloved property like Charles Shulz’s classic comic strip adapted to the format in the early teasers was jarring to say the least. 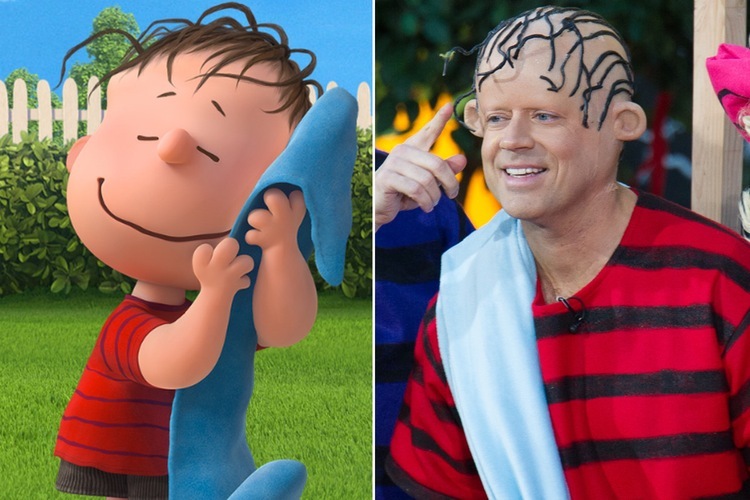 The worst part of the conversion was that they interpreted the curl of hair on Charlie Brown’s forehead (which I’ve always seen as representative of at least a tuft) as a single, distinct pube. An endless barrage of awful-looking CG animated features like Angry Birds, Alvin & The Chipmunks IV: Road Chip, and the dismal-looking Rob Schneider Is A Polar Bear picture Norm of the North playing before the movie in the theater did little to ease my concerns. 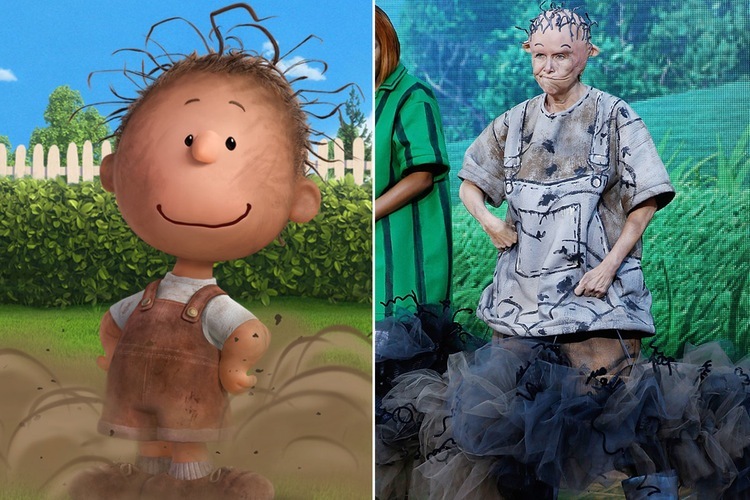 To get an idea of how horrified I was by this incarnation of The Peanuts, check out these nightmare images of Today Show anchors dressed up as characters from the the film. They’re barely made me more queasy than the film’s trailers did. 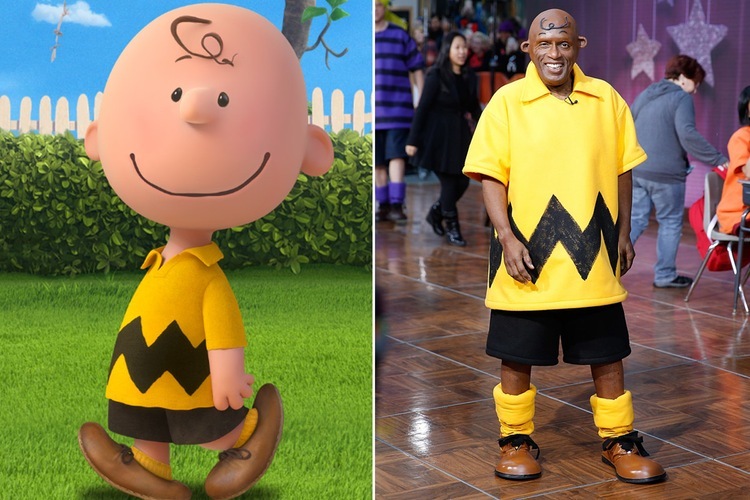 It turns out, thankfully, that The Peanuts Movie isn’t quite as bad as the horrific shitshow I initially imagined. At best, the film feels like a decent compromise between the cynical corporate cash grab it could‘ve been & the loving tribute to an artistic institution it should‘ve been. The CG animation that initially bothered me so much was fairly easy to get used to, especially since it was accented by hand-drawn hearts, squiggles, and re-creations of the original black & white comic strip source material. For every cringe-inducing turn-off (horribly out-of-place pop music, new characters who don’t add much to the formula, over-long Snoopy-vs-the-Red-Baron asides, etc.) there’s a greatest-hits style throwback waiting to appease. Lucy’s 5¢ psychiatric help stand, Marcie’s eternal suffering at Peppermint Patty’s indifference, off-screen adults’ trumpet voices, Charlie’s kite-flying mishaps, plentiful utterances of “Good grief!” & “blockhead”, the gang’s iconic dance moves: it’s all here. And while the parents in the audience are chewing on the nostalgia, their kids are treated to a collection of timeless sight gags. Everyone wins . . . sort of. The reason I came around to the idea of watching The Peanuts Movie in the first place was an interview in which producer Paul Feig (who I greatly respect) said he signed onto the project just to keep an eye on it, to make sure it wasn’t the cynical mess I expected. And that’s exactly how The Peanuts Movie came out as a finished product. It feels like a project that could’ve gone south at any minute, but was kept in check by a few voices of reason. There was certainly plenty of aspects of the film that I enjoyed. I was particularly relieved that the gang was allowed to remain true to themselves, just as gross & melancholy as ever. The voice acting work from the non-actor children cast was surprisingly true to past animated adaptations (Linus’ voice is eerily accurate, even) & it’s just as satisfying as ever to hear children fret over emotional crises like “coming down with a serious case of inadequacy” or having “the face of a failure, a classic failure face.” Even though “the little red haired girl” the film introduces is a largely wasted effort, I did appreciate that The Peanuts Movie stuck to a comic-strip-simple conflict in its Charlie-has-a-crush plot, detailing the embarrassment of falling in love instead of mucking up the formula with an origin story about how the gang all met or an out-of-place grand adventure. Still, I get the feeling that there will be very few people entirely won-over & in-love with what The Peanuts Movie delivers. At best, it feels like a disaster narrowly avoided, an acceptable compromise of the best & worst possible outcomes, which is something I’m actually grateful for, given my most fearful expectations. Not messing too much with the formula or characters that made Peanuts famous, Blue Sky have played it very safe and pretty damn smart keeping most of the charm of Schulz’s original work. I’d agree for sure that I appreciated how much of the low-stakes plots & depressive personalities they kept from the source material. There was also plenty of new-fangled stuff in there (the CGI, the terrible pop music, etc) tempering my reaction, though. It was a pleasant movie, a lot more pleasant than I expected.